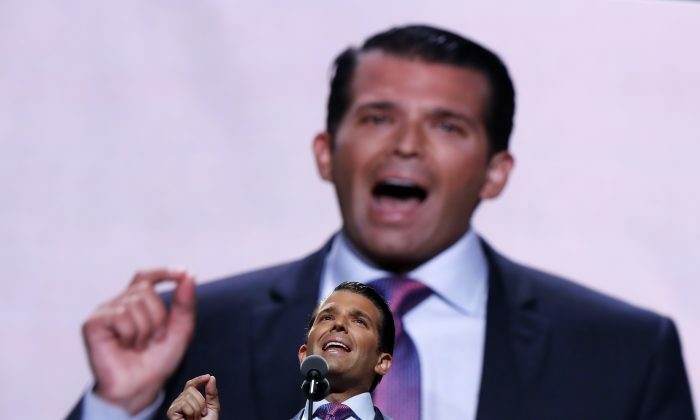 Just a day after widespread plagiarism allegations against Melania Trump’s Republican National Convention speech, Donald Trump, Jr. was accused of the same. Some media outlets said that the younger Trump had plagiarized one part about education in the United States. “What should be an elevator to the upper class is stalled on the ground floor. Part of the fault for this may be laid at the feet of the system’s entrenched interests: the teachers’ unions and the higher-education professoriate. A few reporters, including Keith Olbermann, highlighted the line. The Daily Show also tweeted about it. Jason Miller, a spokesperson for Trump’s campaign, also responded.